travel » Tag » Code, Gadget, Geek! When planning your next vacation, whether you’re flying or driving, there is no better travel companion than the iPad 2. With hundreds of travel apps to choose from you’re sure to find exactly what you need to make your trip go as smoothly as possible. 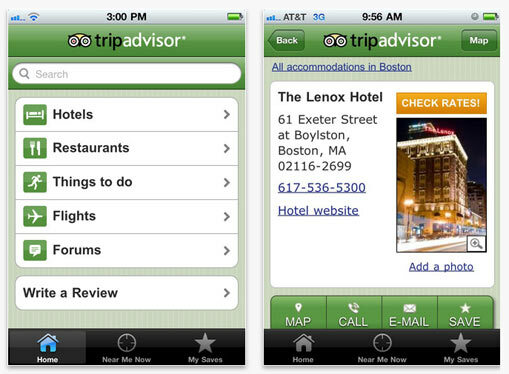 Let’s take a look at some of the more helpful travel apps for the iPad 2. Before your trip begins you’ll want to download Essential Travel Checklist. This app offers separate checklists for every aspect of preparing for your trip from pre-trip preparations to things to pack for the kids and what to keep in your carry on so you can travel with peace of mind that you’ve forgotten nothing. Booking.com is a simple and fast way to find and reserve one of over 175,000 hotels. This app allows you to enter your destination city and accommodation details and will give you a list of area hotels along with pricing and a brief description of each one. If you’re going to be flying, FlightTrack Pro is an excellent app for keeping up to date on flight status, gate changes and weather reports. If your flight gets delayed or cancelled you can easily find other flights without getting out of line. With the offline feature you can even access your flight route while in the air. No vacation would be complete without access to Tripadvisor. There is no better recommendation for a hotel, restaurant or entertainment venue than one from someone who has been there and done that. It even allows you to write and post your own reviews. Yelp offers a quick link to any type of business you may need. Whether it’s a dry cleaner for that mishap during dinner, the nearest gas station to top off your tank, or a specialty store to shop for that perfect gift, Yelp provides information and reviews provided by the locals of the town you’re in. There are hundreds more apps for iPad 2 ranging from GPS apps to games for keeping the kids entertained. Search the web for the apps that best suit your needs. Many are free, and others are offered for a minimal fee.